Together We Make a Magical Concoction! ALMONDS/THESE NUTS ARE DRIVING ME CRAZY! Almonds contain two vital brain nutrients, Riboflavin and L-cartinine. This increase and improves brain activity. 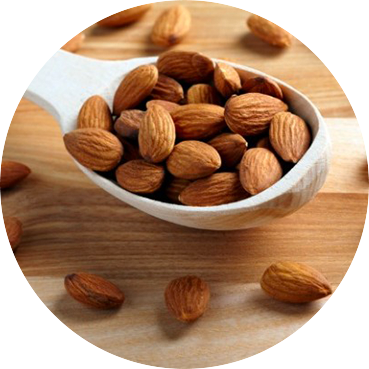 Almonds have the greatest concentration of Vitamin E with 90% Phosphorus and 29.86% Calcium. It helps in muscle growth, healing of your bones, teeth and gives you a flawless skin. A handful of almonds can get you through the day. With 24 calories and Zero Trans Fat, almonds provide you with the energy that keeps you energised and ready for the entire day. Almonds help in health management and keep your digestion under check. Its free of antibiotic, hormone and gluten. Dates are delicious and nutritious. This sweet fruit is almost the oldest of all and has been cultivated for over 1000 years now. 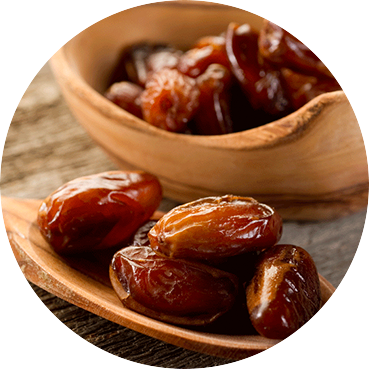 Besides the delightful flavour, dates are incredibly healthy for your body. They contain lots of iron and have fibre, minerals and vitamins. And they help relieve painful constipation, diarrhoea and other intestinal complaints. IT MAKES YOU BETTER AT HEART! Dates contain various elements which help in smooth functioning of your heart and keep it healthy! They are a rich source of potassium, which have shown to reduce the risk of stroke and other heart related diseases. We might as well call it the “Food of every age!”. Dates are full of vitamins which amplifies the health and functionality of your nervous system. Potassium plays a vital role in a responsive and healthy nervous system. It also improves the speed and alertness of brain activity. Therefore, dates are a wonderful food source for all of you amazing people as it can deal with your nervous system when it becomes sluggish and it sharpens your mind. Dates are full of natural sugar like glucose, fructose, and sucrose. They are for sure the perfect snack for an immediate energy booster. Dates with their never-ending levels of iron makes it a food for people suffering from anemia. Increasing energy and strength, while decreasing feeling of fatigue and dizziness. Vanilla is known for it's medicinal properties which have been used for centuries to calm your nerves down and lift your spirits. 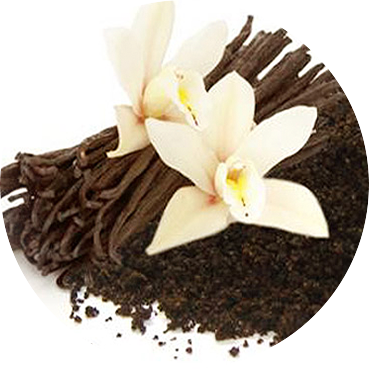 Vanilla extract relieves nausea, digestive disorders and impotency. Heals you of agitated nerves, wounds and cuts too. Vanilla extract helps in weight loss. Promotes healthy hair and also extremely proficient for your dental health. It’s a crunchy jolt of complete protein, healthy fats, Vitamins, minerals and deliciousness. Mix it with few other ingredients and you get a magic elixir called Almond Power Milk. NOW NO MORE PRESSURE FOR BLOOD PRESSURE. 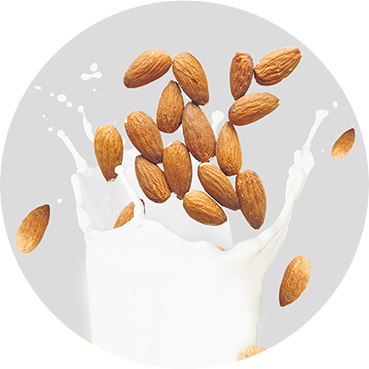 Consumption of almond milk helps in reducing and maintaining blood pressure. It’s an extremely healthy alternative for who have intolerance to soy and dairy milk. Different parts of body depend on Vitamin D, Calcium and Phosphorus to run the basic machinery of bones and blood circulation. Therefore, having almonds daily can keep your heart healthy with zero trans fat. FLAWLESS SKIN IS IN ! Almonds are a great source of Vitamin E and antioxidants, which play a vital role in eliminating the harmful radicals from your body. It's power packed with anti-aging properties. Almonds also repair the damaged skin tissues internally and helps accelerate the formation of new cells. Hence, it also enhances the tone and texture of your skin. BUT I AM YOUR DOODH NOW! Haldi is known for it's medicinal properties which have been used for centuries to calm your nerves down and lift your spirits. 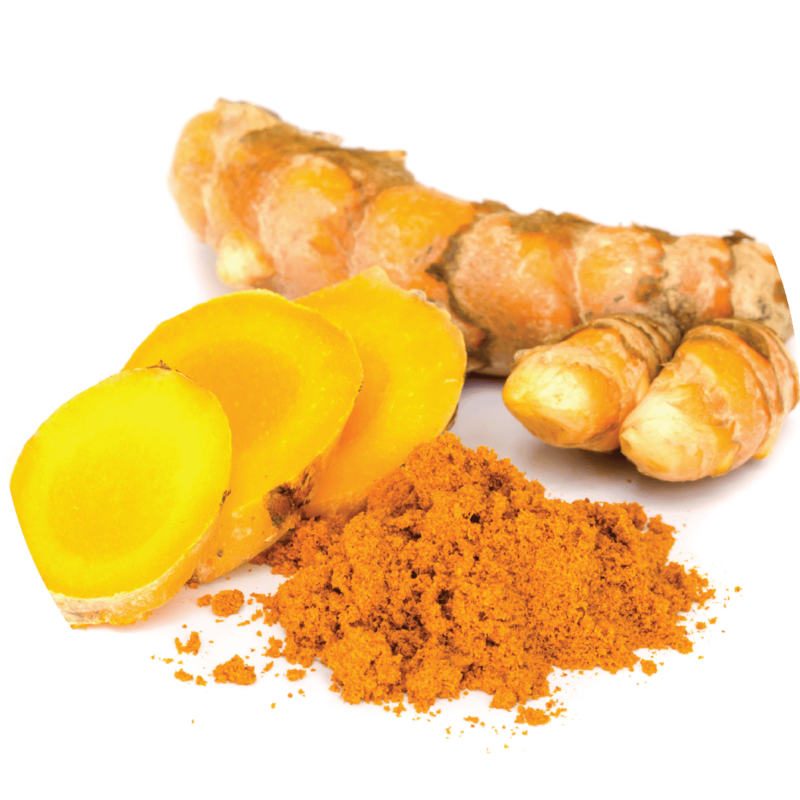 Haldi extract relieves nausea, digestive disorders and impotency. Heals you of agitated nerves, wounds and cuts too. Haldi extract helps in weight loss.